It’s December, which means Star Wars season is in full swing. Ever since Rey, Finn, and BB-8 swept the box office two years ago -- making The Force Awakens the highest-grossing domestic release of all time -- Lucasfilm has had no problem dressing the franchise with tinsel, making the release of new Star Wars films a full-blown holiday tradition. As we gear up for The Last Jedi -- which arrives in theaters December 15 -- it’s hard not to have lightsabers, X-wings, droids, and porgs on the mind. If you’re looking for total fandom immersion in the days leading up to The Last Jedi, we recommend these eight Star Wars podcasts to get you there. Each choice is a diverse window into the galaxy far, far away, some tackling specific corners of the world -- from books to music to TV -- and others going all-in on news, spoilers, and speculation. While nothing can replace the sheer joy of seeing a new Star Wars film on the big screen, we guarantee these shows will add flavor to your anticipation. The pitch: Hosts Alex Robinson and Pete the Retailer dissect the Star Wars films minute-by-minute, from beginning to end. Literally. Why you should listen: Star Wars Minute kicked off the podcasting “minute trend” (see also: Back to the Future Minute, Alien-Minute Podcast, Ghostbusters Minute, and more), and it’s easy to see why: you never really notice the scope and depth of a film until you spend roughly an hour discussing a single 60-second moment. The hosts – who are currently working on Revenge of the Sith – also bring on fun guests every week, with everyone from Doug Benson to Mark Hamill’s son Nathan joining in on the fun. The show will give you a brand-new appreciation of the sequels, and help you look a little closer at the minutia of cinema in general. The pitch: Members of the Collider video staff gather round and discuss all things Star Wars, from the films, to the canon tie-ins, to the video games, and more. Why you should listen: This one’s sort of a cheat, since it’s technically a weekly YouTube series produced by Collider. But they also release an audio-only version in podcast form, great for listening at work or in the car. The show features a rotating panel -- usually headed by Collider’s Kristian Harloff -- comprised of huge Star Wars fans and talent (they’re trying to get John Boyega, a self-professed Jedi Council fan, in the guest chair). The bulk of the episode is dedicated to movie news, but they also stay up-to-date on tie-in material (“what’s the deal with canon? !”) and answer viewer/listener questions. The pitch: This weekly Star Wars news podcast is also full of philosophical discussions, cast and crew interviews, and in-depth character analyses. Why you should listen: Hosts Mike Pilot, Holly Frey, and Bryan Young are immediately familiar; episodes feel like sitting down with your best nerdy friends and going deep into news topics. Their love of Star Wars is deeply felt and gives the show a real warmth. Warning: their Carrie Fisher tribute episode will definitely make you cry. The pitch: Hosts Jason Ward and Randy Lo Gudice cover a week’s worth of Star Wars news, rumors, spoilers, and leaks as they pertain to the films, TV shows, canon novels, and comics. Why you should listen: If you don’t mind spoilers, this is the podcast for you. Ward is an excellent source of information (his website, MakingStarWars.net, is known for providing detailed and very accurate spoilers), and the hosts and frequent guest stars have a ton of fun. The episodes are long -- sometimes upward of four hours -- but never overindulgent. Now, This Is Podcasting is, more than anything, a giant Star Wars lovefest. The pitch: Hosts Amanda Ward and Tracy Gardner (who recently left the pod to pursue other projects) discuss weekly Star Wars news through a feminist lens. Why you should listen: A great antidote to the dude-heavy Star Wars podcasting world, Ward (the wife of Now, This Is Podcasting’s Jason and MakingStarWars.net administrator) and Gardner (a cosplayer and feminist scholar) offer a very different perspective on the fandom. They aren’t afraid to tackle issues of misogyny and prejudice in Star Wars, and their humor and laid-back approach make for a casual, fulfilling listen. Though Gardner recently left the show, her back-catalog is impressive, and Ward -- along with rotating guests -- has soldiered on, never losing sight of the issues that matter most to her and other female fans. Why you should listen: Ever wanted to know more about Cebann Veekan? What about Moradmin Bast? Grizz Frix? Dr. Evazan? Don’t worry, Star Wars In Character has you covered. The hosts dive deep into the histories of the lesser-known and loved Star Wars characters, with notes about their first appearances, where else they pop up in canon (from comics to novels), and what they contribute to the mythos. The hosts have a lot of fun just chatting, making jokes, and indulging in the absurdity of the naming schemes. 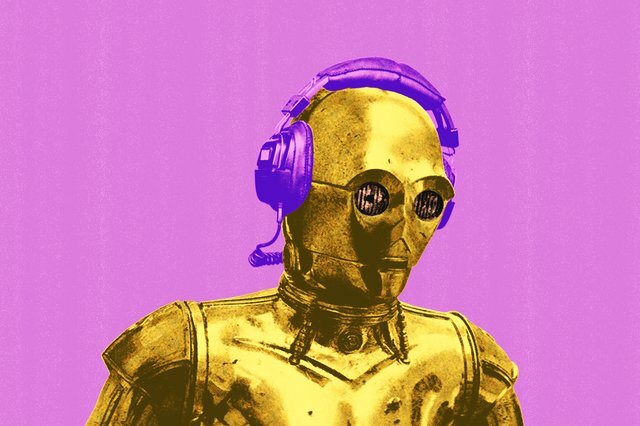 Why you should listen: Oxygen (which exists under the banner of Rebel Force Radio, another popular Star Wars podcast) hasn’t put out a new episode since 2016, but the archives make for a truly singular listening experience. Collins’ knowledge of musical theory is vital here: he’s able to deconstruct character themes, find connections between old and new cues, and point out subtleties the untrained ear would never catch. That, coupled with his proximity to the Star Wars brand (he voiced several background characters in The Force Awakens and Rogue One), give Oxygen plenty of depth and history. You don’t want to miss this one. The pitch: Hosts Teresa Delgado and Aaron Goins discuss and review the latest Star Wars tie-in books and comics. Why you should listen: This monthly podcast is a great way to stay up-to-date with canon releases from Marvel, Del Rey Books, and Disney/Lucasfilm Press. The episodes are well-produced and the hosts aren’t afraid to get opinionated. They let listeners know which books and comics are worth checking out, what to avoid, and they also check in on news items like film trailers and episodes of the Disney XD series Rebels. Lindsey Romain is a pop culture writer living in Chicago. Follow her on Twitter @lindseyromain.